The game in the South Carolina upstate went wire to wire this week; its Game of the Week designation translated into High Notes recognition. 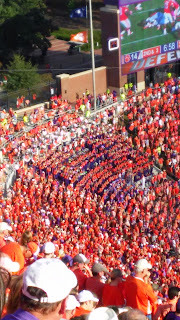 Unlike at Georgia Tech, the Marching Chiefs were in the lower level, right behind the end zone, putting them 120 yards and some change from the Band that Shakes the Southland. I don't know if it was the placement or ESPN had their mics on 11, but both bands came through loud and clear. 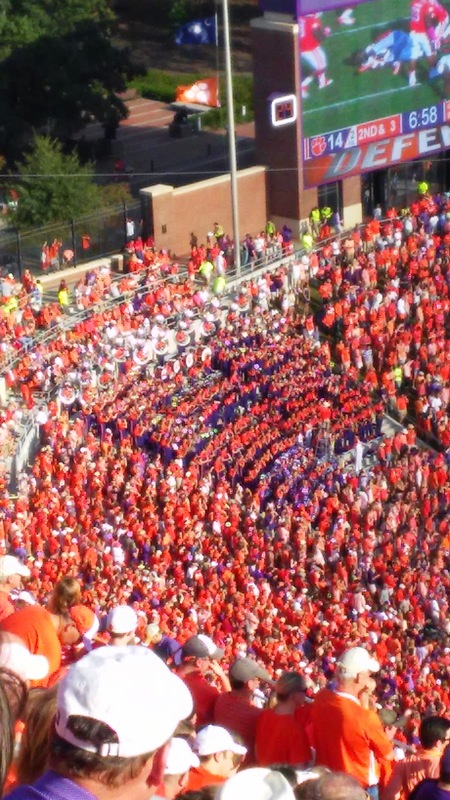 Clemson may have gotten the victory, but both bands get the recognition. In a mixed bag of sorts, USF played just across the state from me at ECU. I planned on heading out there - how could I not? - but circumstances kept me from not being able to. On the one hand, I'm not mad about missing the opportunity to sit in the rain for that game. Interestingly enough, I've only missed two games when USF has played in the Carolinas, and both have been rainy games. That said, I did miss a Bulls victory that pulls the good guys within one game of bowl eligibility. I understand that's a pretty low bar, but it's been a rough five years.